It’s July, and the temperatures are really heating up. The forecast keeps showing temperatures with three digits, and you are dealing with the consequences in every aspect of your life, from high air conditioning bills at home to sweating up a storm even in the short time it takes to go from one air conditioned place to another. Your car can easily become a torture chamber that seems to take forever to cool down. The very last thing you want on one of these scorching hot days is for your car to break down and strand you. 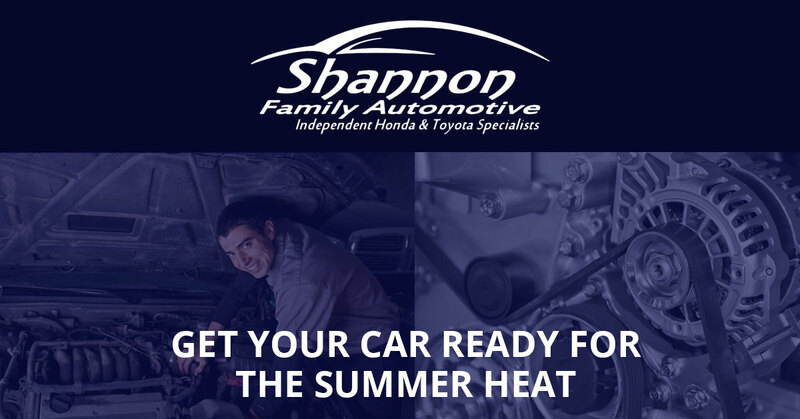 To help you avoid having your car break down in the heat, we’ve come up with a list of things you can do, or have your trusty mechanic at Shannon Family Automotive do for you, so make sure your car stays reliable through the summer. If your car’s air conditioner is not working at it’s best, it can leave you and your family sweltering in the heat and is more likely to succumb to the growing problem and leave you completely without its cooling effects. Most newer cars have an air filter for the air coming into the passenger cabin, and if it’s clogged, it can tax your air conditioning and can lead it to fail. Have this cabin air filter changed regularly and your car’s cooling system will last longer and work better. You’ll also want to make sure that the compressor is free of debris and that the belts are all in good condition. 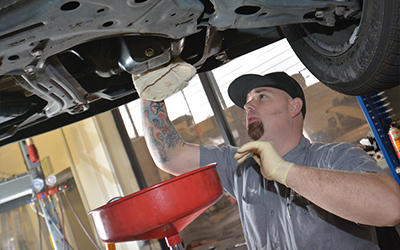 One of the qualified mechanics at our auto shop can do this for your as part of an overall check up. Making sure your car has adequate coolant is essential to keeping your car running, and not overheating in the summertime. Coolant is the same substance that is called anti-freeze in the winter time and helps your engine maintain a healthy temperature. If your engine has hoses that are leaking or your radiator isn’t working properly, your engine can easily overheat. If that happens, your entire engine can get fried. To avoid this car-killing problem, check your coolant level and keep an eye on your engine temperature. Your tires need a bit of warm weather attention too. If you have, for some strange reason (given that we live in northern California), snow tires on your car, be sure to change them for summer tires. Summer driving means you can get away with shorter sidewalks and a more shallow tread. Your tires need less air in them in the summertime because air expands when it is hot. Manufacturer recommended psi’s are for cold weather and for hot weather you can decrease it by 20%. According to cartalk.com, “tire pressure will go up approximately one pound for every 10 degrees Fahrenheit.” Remember to check your tire pressure on a cold tire or at least one that has not had extra heat added by friction with hot pavement. When you need routine maintenance or repairs on your foreign or domestic car or truck, be sure to call Shannon Family Automotive.